Convection ovens are made by many manufacturers in a wide range of sizes and configurations. Our best sellers are Blue Seal (illustrated), Lincat, Roller Grill, and, in larger sizes, Falcon. 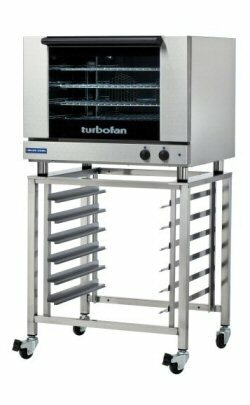 We also supply pizza ovens and rotisseries. We offer very good discounts on all makes. Follow the links below for specifications and prices. If you cannot see what you are looking for on the website, please contact us.